Looking to add a touch of luxury and sophistication to your wardrobe? With cooler weather, there’s no better way to add sleek to your style than with a leather jacket. 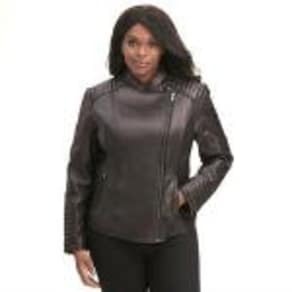 At Westfield, you’ll find a variety of leather jackets in every style, color and price range. Leather jackets are a classic piece in every wardrobe, never going out of style. Pair an embellished leather moto jacket with your favorite skinny jeans and a crisp white shirt, and you’re ready to face the fall season in style. 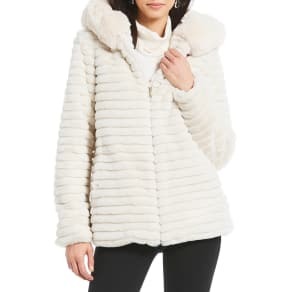 Warm up in the winter with a leather hooded parka jacket or a heavyweight puffer leather jacket, don some ankle booties and strut your stuff in the city. 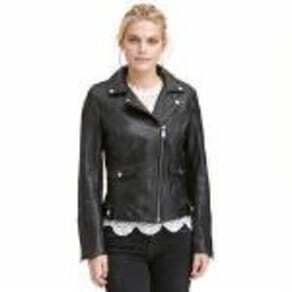 Or choose a lightweight faux leather jacket for the warmer months. At Westfield, you’ll find leather jackets to suit all your needs. Whether you want a classy leather blazer or an edgy leather bomber jacket. Cropped, fur tripped, lambskin, suede, light-weight or heavy-weight, we’ve got your covered in leather jackets all year long.